As a responsible parent you must chose wisely about CHILDCARE for your little one. If you do not have a trusted person such as a familiar or a qualified caregiver to work in your home, then you must rely on a Childcare Centers. Childcare Centers can be from governmental programs available in your community or can be private owned. In both cases you should remember that your child will spend at least 4 to 8 daily hours and that the first five years of all children will determine their personality and learned abilities for a lifetime. LEARN as much as you can from the program you have chosen for your child. Talk to friends, neighbors and other mothers. VISIT as much as you can different Care Centers that get your interest and COMPARE their curriculum and facilities. OBSERVE how caregivers, teachers and assistants talk, look and interact with the enrolled children. Is it a friendly staff and environment? LOOK at the children: Do they look happy?...Are they having fun?...Are they performing activities provided and supervised by staff? IDENTIFY licenses, permits and achievement certificates belonging to the Center, staff or Director, which should be easily visible in a wall. INSPECT that the building, rooms, halls and patios are closed or gated, clean and safe and with the proper ventilation. 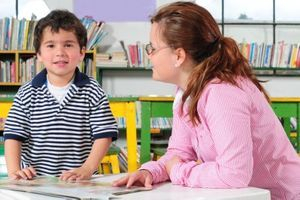 If your child requires special needs consider a Childcare Center with specialized staff. Meals and snacks should always be approved by a certified nutritionist. Artificial Drinks and Marshmallow cookies are not part of a certified meal plan. It is ok to have a pizza day, a popcorn movie afternoon, chocolate or vanilla sandwich cookies snack once in a while, not a routine. The more Federal Standard on childcare protocol followed by the Daycare the better. Having a child, raising and educating YOUR offspring is EXPENSIVE…why then might you search for a CHEAP daycare? Search based on curriculum, facility commodities, distance from home or work, etc. Follow your instinct, all species have come with a “preserve the species” internal chip, if you do not feel comfortable, LEAVE and keep searching.